Award winning tenor Dan Twomey will bring tears of emotion to the eye of everyone, whether it is a wedding, concert, private party, corporate function or funeral he performs at. Based in Co Cork, Dan is very much a part of the strong music culture which is rich there. Dan is and has been a member of various choirs over the years, travelling to places such as Lake Garda, Cape Town South Africa, Graz in Austria and London’s Royal Albert Hall to name but a few. With over the 15 years experience, Dan is available nationwide and performs a varied repertoire of music, from classical to traditional and contemporary to suit your tastes. He is available as a tenor soloist for both civil and church wedding ceremonies, pre-dinner wedding reception venues, funerals, corporate functions, private parties and concerts. From Minane Bridge in Cork, Dan was born in 1983. From a very young age he was a boy soprano and performed works such as ‘The Rat Pack’ in various Primary School Concerts. At the age of 9 he joined the local Parish Choir under the leadership of Clare Canty where he first gained confidence in singing. In 1993 he took part for the first time in the GAA Competition Scor na bPaisti. He went on to perform in competitions such as The Cork Community Games, Readoiri, Scor na nÓg, Scor Sinsear, Macra na Feirme National Talent Competition, Feis Maitiú and the ESB Feis Ceoil. Dan has a degree in Landscape Horticulture from University College Dublin. While at UCD he became a member of the UCD Choir and in 2005 received a scholarship for 1 year to the prestigious UCD Choral Scholars Choir under the leadership of Desmond Earley. He has travelled extensively with various choirs competing at a Choral Festival in Lake Garda Italy, performed a choir at a wedding in Johannesburg South Africa and the Victoria & Albert Waterfront in Cape Town South Africa, performed Mozart’s Requiem, Faure Requiem and the World Premier of the Karl Jenkin’s ‘Gloria’ at the Royal Albert Hall in London, the World Choir Games in Graz Austria of which his choir won a bronze medal. In 2009 Dan won an All-Ireland Title in Solo Singing at the Macra na Feirme National Talent Competition held at the National Concert Hall, Dublin. 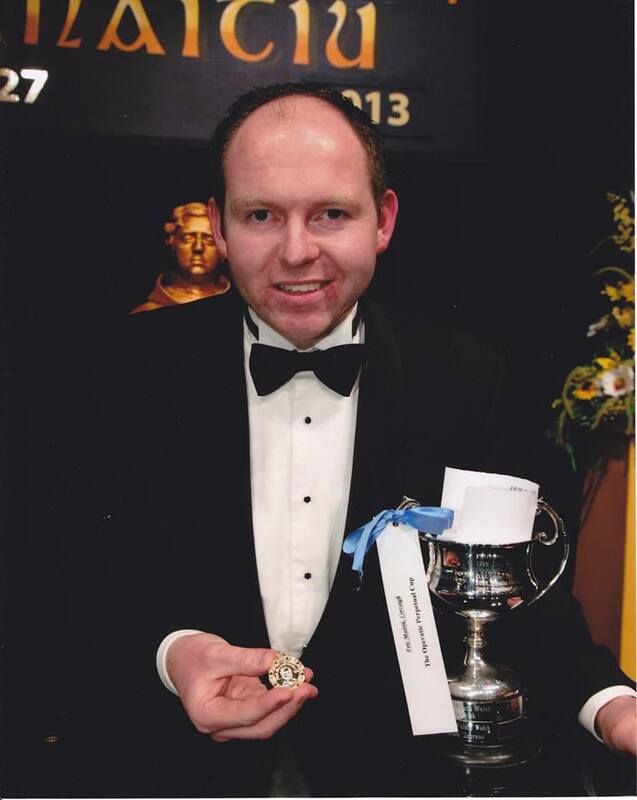 Most recently in 2010 Dan won the Presidents Perpetual Cup in Cork’s Feis Maitiú Competition. Dan has been undergoing voice training since 2008 with a former Cork professional soprano, Fiona O’ Reilly.